This place is great. Haven't had any problems.submitted by James D. - May 19, 2018 |Recommended: YesI have thoroughly enjoyed living here. Everyone on the staff is kind and treat there renters well. The grounds are gorgeous and they have great amenities. Love it.submitted by Aramis W. - May 13, 2018 |Recommended: YesIt is relaxing and a nice location to live for people seeking peace and quiet. Younger people have began to move in and bring noise with them but it is not as bad as other communities. The maintenance staff is quick, professional, and knowledgeable. response from property - Nov 30, 2017 The team at Majestic Oaks thanks you for your review! We strive to make sure all of our residents are having an enjoyable time in their new home. Please remember we are always here if you need anything! Great community for college students and militarysubmitted by Alex H. - Nov 17, 2017 |Recommended: YesThe community is pretty quiet, it's a little ways off of the main road so you don't hear much noise. Neighbors mostly keep to themselves and I personally haven't heard anyone being obnoxious in my building. Maintenance typically arrives the same day when you make a request. The only issues I have with the community is the weatherstripping under the doors seems to let pests in from time to time, also, the complex doesn't have a car care center. Clean and spacious apartmentssubmitted by Abigail G. - Oct 28, 2017 |Recommended: YesI like living here a lot. The apartments are spacious and clean and the complex is nice. some of the surrounding area and people in the surrounding area are less than ideal sometimes but otherwise a nice community. 8 10 would recommend submitted by Lindsay J. - Sep 30, 2017 |Recommended: YesIt's limited space for walking my dog inside the gate and outside the gate is dangerous but otherwise no issues. Difference in satisfaction since new managementsubmitted by Randi B. - Aug 31, 2017 |Recommended: YesI chose Majestic Oaks as a newcomer to Pensacola from out of state. The management at the time was helpful, friendly, and awesome at handling concerns, promptness of requests, and overall courtesy. The staff held friendly get togethers and also followed through on whatever concerns or requests I had. Not so much now. Very hard to get through to the front office or get answers. Disappointed lately. Great community submitted by Brittany W. - Aug 09, 2017 |Recommended: YesIt is such a pleasure living here. 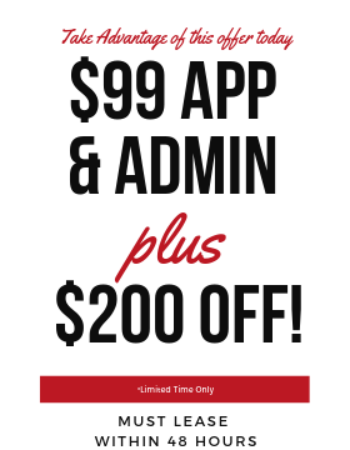 The staff is extremely professional, and they abide by every detail of the lease. We are always in the know regarding anything that happens in the complex. 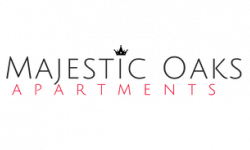 response from property - Aug 01, 2017 Thank you for your review of Majestic Oaks Apartments! We are very pleased to hear you enjoy living here and are having a positive experience!